2018 Intro – Here I Come! | Seeds! | Seeds, Round Two! If you’d like to see, here’s the doc I’ve been using to keep track of planting/tasks/results. And here’s the Texas A&M Agrilife Extension recommended cultivars list I reference for dates and such. Hey there! Just thought I might give a quick update on the seedlings and what’s coming up soon. My seedlings were getting leggy and I realized my light was probably too far away, so I lowered it and am hoping that it will help. Maybe not the already leggy ones, but those that haven’t had time to become leggy at least might have a chance. Here’s what I have sprouted: Broccoli, Cauliflower, Celery, Cabbage, Cayenne Pepper, Jalapeno Pepper, Yolo Wonder Pepper, Sweet Banana Pepper, Dill, Oregano, Basil, Beefsteak Tomato, Cherry Tomato, Eggplant, and Onion. It’s so exciting to come in after being asleep all night or gone all day and find what new seed has sprung from the ground! I’m planting just a couple more broccoli and cabbage plants today. I have 3 of each sprouted, and for my garden that would be enough, but I’m thinking it might be a good idea to have a couple of extras hanging around. I decided not to. In case you can’t tell, I’m very excited about the garden this year. Previous Post #GardenWithJulia 2018 — Seeds, Round Two! Next Post Announcement: It’s Time! 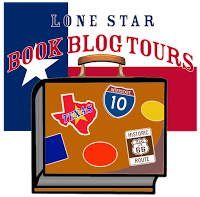 The 2017 Bloggers’ Choice Awards from Lone Star Book Blog Tours!